The use of reduced-order models in the context of reliability analysis of dynamical systems under stochastic excitation is explored in this chapter. A stochastic excitation model based on a point-source model is introduced, and it is used for the generation of ground motions. 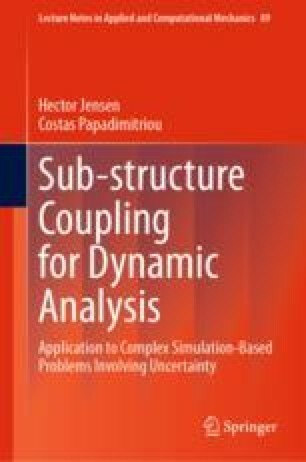 The corresponding reliability analysis represents a high-dimensional reliability problem whose solution is carried out by an advanced simulation technique. Two application problems are considered in order to evaluate the effectiveness of the proposed model reduction technique. The first example consists of a two-dimensional frame structure, while the second example considers an involved nonlinear finite element building model. The results show that an important reduction in computational effort can be achieved without compromising the accuracy of the reliability estimates.